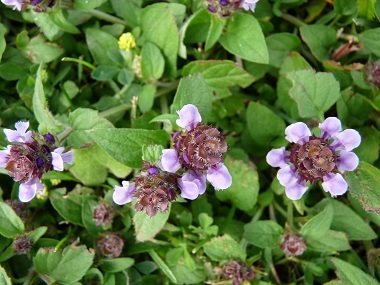 Self-heal is a useful tenacious plant that loves lawns. It tends to stay low to the ground to avoid mowing. It attracts bees and butterflies when flowering and is edible. 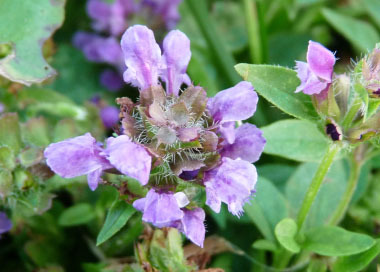 Self-heal, as the name suggests was once a sought-after medicinal herb by herbalists and country folk alike. It was once used to cure a variety of health ailments. Distinguishing Features: Self-heal is a perennial plant with a solitary or clustered upright stem. 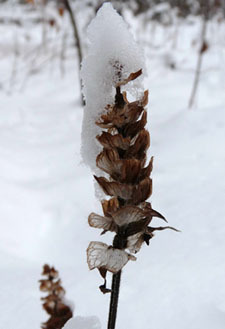 Typically this plant grows 10 to 50 cm in height although some native varieties may grow taller. Self-heal is a fibrous-rooted plant from a root crown or short rhizome that thrives in loamy soil with high organic content. It especially prefers damp soils yet can tolerate some drought conditions. An olive green dye is obtained from the stems and flowers. Flowers: Each tubular flower is about 1 cm long and divided into two lips. The upper lip is light purple and functions as a hood, while the lower lip is whitish and fringed. The lower lip also has two lateral lobes that are smaller and light purple. The calyx is light green or reddish and quite hairy along the edges. There is no noticeable floral scent. 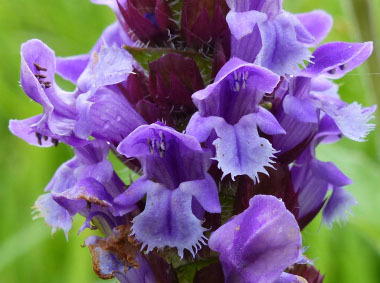 The self-heal flower generally blooms from mid to late summer and lasts up to two months. Each flower produces four tiny seeds, which are located in the calyx. Fields of Nutrition has medicinal benefits and vitamin/mineral content of Self Heal. Leaves: Self-heal leaves are opposite and can grow up to 5 cm long and 2 cm across depending on conditions. They are broadly lanceolate or ovate, with short petioles, and have scattered white hairs along the central vein on the undersides. Self-heal leave’s margins can be smooth or have scattered blunt teeth. Height: Most self-heal plants grow to a height of between 10 and 50 cm. Depending on various circumstances some may grow to a height of 60 to 70 cm. 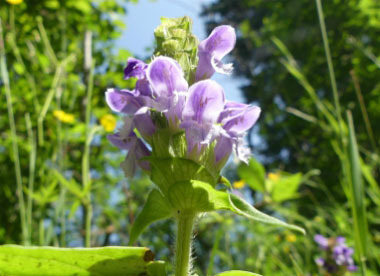 Habitat: Self-Heal grows in many countries around the world and it loves disturbed areas. Habitats include moist to mesic black soil prairies, alongside rivers and lakes, meadows, thickets, forest openings, woodland borders, pastures, and abandoned fields. 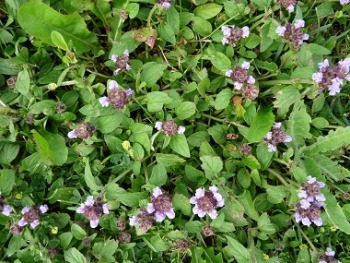 Self-Heal that is common in lawns is suspected to be a Eurasian variety. This means it is shorter and it has roots at the nodes of the leaves.